The UNESCO Chair of Cultural Diversity and Social Justice has a broad ranging mandate that encompasses both national and regional developments that pertain to emerging ethical challenges to the democratic governance of cultural diversity and intercultural relations. The 2014 Annual Lecture of the UNESCO Chair, Cultural Diversity and Social Justice lecture was hosted by Deakin University Vice-Chancellor Professor Jane den Hollander and delivered by Emeritus Professor Gillian Triggs, President of the Australian Human Rights Commission. 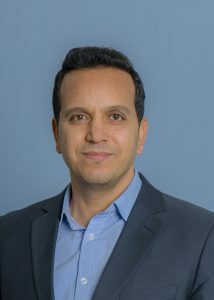 Alfred Deakin Professor Fethi Mansouri holds a Deakin University research chair in migration and intercultural studies and is the Director of the strategic research Centre for Citizenship and Globalisation. In 2013 he was awarded a UNESCO Chair in comparative research on ‘Cultural Diversity and Social Justice’. He is the editor of the Journal of Intercultural Studies (Routledge) and founding co-editor of theInternational Journal of Social Inclusion (Librello). Professor Mansouri is a global expert advisor to the United Nations (Alliance of Civilisations) on cultural diversity and intercultural relations. He is a leading researcher in the University and a prominent scholar nationally and internationally. Professor Mansouri has published fourteen books, ten major research monographs, more than seventy refereed research articles and book chapters, and many book reviews and media pieces. He has presented more than 150 invited conference and seminar papers and many other invited presentations at national and international symposia. His most influential books include: ‘Islam and Political Violence: Muslim Diaspora and Radicalism in the West’, (2007); ‘Political Islam and Human Security’ (2008); ‘Identity, Education, and Belonging: Arab and Muslim Youth in Contemporary Australia’ (2008); ‘Youth Identity and Migration: Culture, Values and Social Connectedness’ (2009); ‘Australia and the Middle East: A Frontline Relationship’ (2011, second edition); and ‘Migration, Citizenship and Intercultural Relations: Looking Through the Lens of Social Inclusion’ (2011). His most recent books include: ‘Muslims in the West and the Challenges of Belonging’ (2012); ‘The Arab Revolutions in Context: Civil Society and Democracy in a Changing Middle East’ (2012); and ‘The Global Perspectives on the Politics of Multiculturalism’ (2013). Professor Mansouri’s 2004 book ‘Lives in Limbo: Voices of Refugees under Temporary Protection’ was short-listed for the 2004 Human Rights Medals and Awards. Emeritus Professor Gillian Triggs is the President of the Australian Human Rights Commission, taking up her appointment in 2012. She was Dean of the Faculty of Law and Challis Professor of International Law at the University of Sydney from 2007-12 and Director of the British Institute of International and Comparative Law from 2005-7. She is a former Barrister with Seven Wentworth Chambers and a Governor of the College of Law. Professor Triggs has combined an academic career with international commercial legal practice and worked with governments and international organizations on offshore insurers, World Trade Organisation law and human rights. Her focus at the Commission is on the implementation in Australian law of the human rights treaties to which Australia is a party, and to work with nations in the Asia Pacific region on practical approaches to human rights. Professor Triggs’ long-standing commitment to legal education builds upon the Commission’s efforts to inform Australians, especially children, about their fundamental human rights.